As you would expect, there are perks for staying onsite, which I’m going to list below. We loved the perks when we stayed at Old Key West last year, and I think it’s going to be hard to give them up when we stay in a villa again! Early Access to Disney FastPass+ Planning – you can make your FastPass+ selection up to 60 days before you arrive! compared with 30 days if you are staying offsite. Extra Magic Hours – enjoy select attractions at one of the theme parks beyond the standard operating schedule. Complimentary MagicBands – Use your all-in-one MagicBand to access Disney theme parks, unlock your Resort hotel room, check in at FastPass+ entrances for previously selected attractions and entertainment, and more. Plus, as a Resort hotel Guest, you can even customize a MagicBand with your name and choice of 7 colours! Complimentary Wi-Fi – Stay connected while off and about on your vacation with convenient, wireless high-speed Internet access in Guest rooms, at select restaurants and around most public spaces. As well as these fabulous perks, you are treated to some very unique resorts, with great design, theming and facilities. We have stayed at Disney’s Old Key West Resort, and are staying at Disney’s Art of Animation Resort [for 2 nights, before moving to] Disney’s Wilderness Lodge, which took my breath away the first time we visited it in 2014. 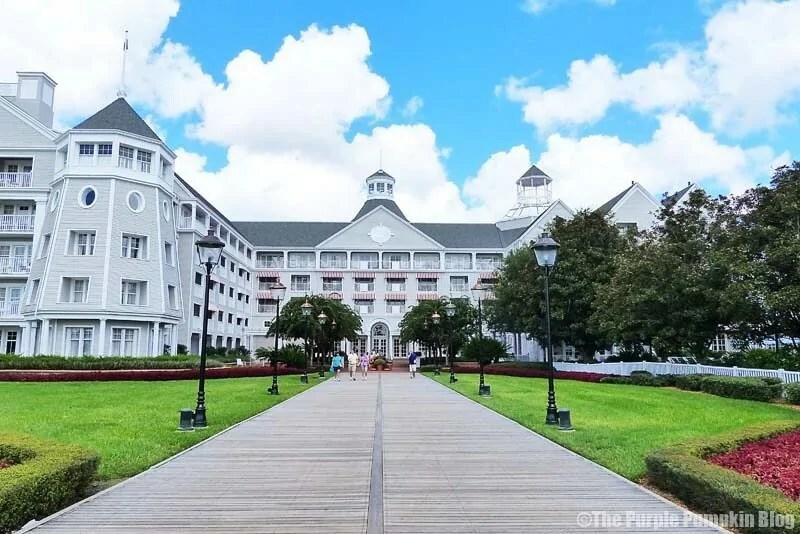 *Complimentary resort transportation – the buses (not including Disney’s Magical Express), the ferryboats and the monorail are free to all guests at Walt Disney World, not just those staying at one of their accommodations. The resorts at Walt Disney World are categorized into value, moderate and deluxe – based on price range. They also have a selection of deluxe villas and a campground. The first time seeing Disney’s BoardWalk – it’s just glorious at night. Have you stayed at a Disney Resort(s)? Tell me about it in the comments section! Thanks for reading Day 29 of 100 Days of Disney 2015! 71 to go! Come back tomorrow for another Disney post! We are looking at DLP for Christmas… maybe… I know nothing about the place, so need to get some research done! Ooh, exciting times, roll on summer 2017! We did DLP over Christmas when we went too – my best tip is wrap up warm as it was freeeeeeezzzzing when we went!!! I best be buying some warm clothes….. just saying! !